You’ve seen these programs succeed before, to varying degrees. But they may not have had the type of years they wanted to in 2017-18. Here are six programs who would love to bounce back this season. Shaka Smart has been fine thus far at Texas. He’s made the NCAA tournament two out of three years and won eight more games in year three than year two. But Texas only snagged a 10-seed in last year’s dance, and it had Mo Bamba. Bamba is off to the NBA, but the Longhorns are talented as usual and should be able to earn a single-digit NCAA tournament seed in 2019. Texas has a bunch of talented guards, a staple of Smart’s best teams at VCU. Dylan Osetkowski and Jericho Sims return in the frontcourt. The Longhorns have had solid starting lineups during Smart’s tenure, for the most part, but depth has been lacking. And depth is crucial in Smart’s go-go system. That’s the biggest thing Texas has going for it this season. This is a huge year for Smart, who came to Austin with a lot of hype after winning no fewer than 26 games per season in six years with the Rams. We don’t really know what a Greg Gard team looks like with Greg Gard’s players. There are still holdovers from the Bo Ryan era, but in year three, this is mostly Gard’s team. He’s had one great season and one not so great season as head coach. Gard reached the Sweet 16 in his first year and missed the NCAA tournament in his second. Losing Bronson Koenig and Nigel Hayes had a lot to do with the Badgers’ downfall. Wisconsin’s style hasn’t changed under Gard. It still plays at one of the slowest paces in college hoops; the Badgers ranked 347th in adjusted tempo last season. But Wisconsin was one of the most inexperienced teams in the country last year. The good news: it returns just about everyone. The bad news: that team won 15 games. There are reasons for optimism, though. 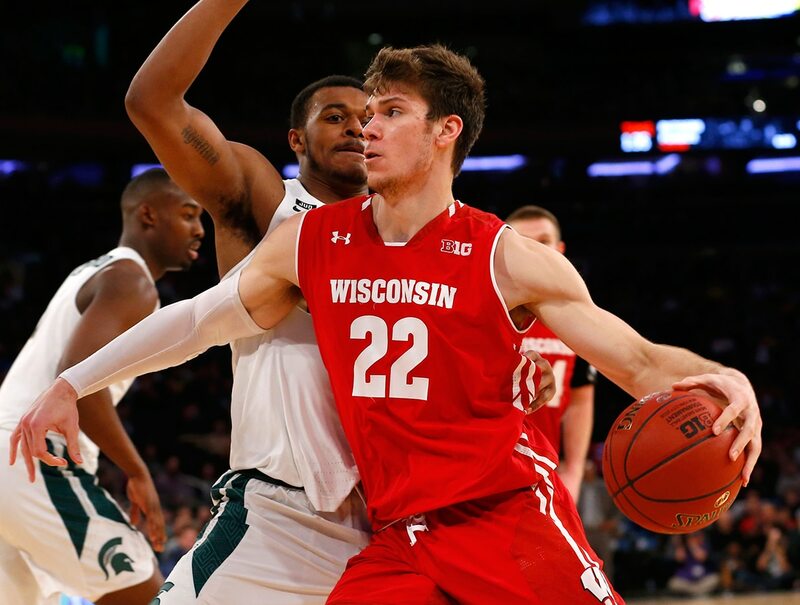 Ethan Happ is quietly one of the best players in the sport, and after a dreadful Big Ten start, Wisconsin went 4-2 in its last six conference games. That’s a small sample size, but it’s a good sign. The good vibes built up in 2016-17 vanished quickly in 2017-18. Northwestern brought back most of a team that was a single-digit seed in the 2017 NCAA tournament and stumbled to just 15 wins last year. The Wildcats were ranked in the preseason top 25 and didn’t come close to the dance. Northwestern barely finished inside the top 100 in offensive and defensive efficiency after finishing 32nd in the latter two years ago. The Wildcats lost their last seven games after getting off to a decent Big Ten start. What’s to like in 2018-19? There’s talent here, but the Wildcats also lost some key pieces in Bryant McIntosh and Scottie Lindsey. Vic Law, who averaged 12 points per game, will need to make a leap this year. He has the ability to do it. 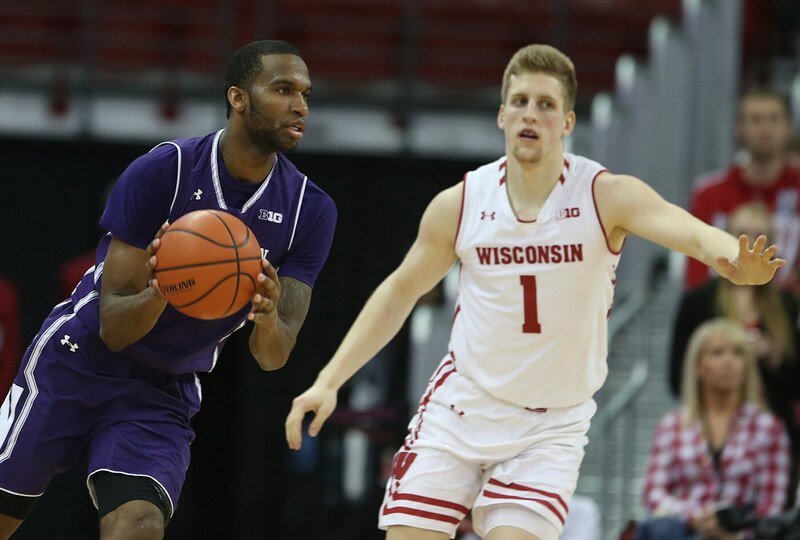 Much of Northwestern’s fortune will ride on Evansville transfer Ryan Taylor, who averaged 21.3 points per game last season. He’ll replace Lindsey and form a modern, perhaps lethal wing duo with Law. To say this is a make or break year for Northwestern would be overstating it. Collins brought Northwestern to its first NCAA tournament ever. That matters. But this season could help us figure out if 2017 was a fluke, or the start of a trend. Iowa State won 13 games under Steve Prohm last season, its lowest total since 1997-98. A dropoff was expected with Georges Niang and Monte Morris graduating, and Prohm won 24 games in his first year (granted, mostly with Fred Hoiberg’s personnel). But this is a big year in Ames. The Cyclones didn’t win much last year, but they were entertaining and competitive. The Big 12 was also a ridiculous league. It will still be good, but perhaps not otherworldly. And Iowa State is a little older and more talented. Wigginton is the type of explosive shot creator that every team covets. Bump up his efficiency, and he can be a star. Iowa State also welcomes Virginia transfer Marial Shayok, a rock-solid defender looking to take on more of an offensive role. That’s a nice duo, but the Cyclones will need some freshmen to step up in order to make the NCAA tournament. Tyrese Haliburton and Talen Horton-Tucker are a few names to watch. Nobody is expecting Prohm to win 25 games, but it would be nice to see Iowa State flirt with a tournament berth in his third year. A year after a Final Four run, Oregon missed the NCAA tournament last season. It came close. The Ducks won 23 games and had a winning record in Pac-12 play. But the Pac-12 was down last year. Some regression was to be expected with Jordan Bell, Dillon Brooks and Tyler Dorsey moving on. 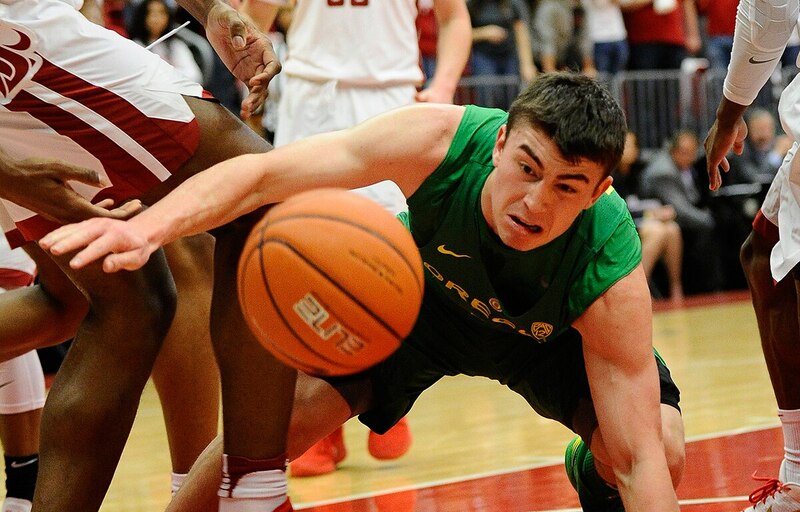 The Ducks are young in 2018-19, but extremely talented. Perhaps the most talented team on this list. Oregon will start two of the best freshmen in the country in Bol Bol and Louis King. That’s the positive. The negative? The Ducks don’t have many key veterans returning. Payton Pritchard is a solid point guard; he quietly averaged 14.5 points on 41.3 percent shooting from distance last year. That’s a nice big three, but depth is a question mark. Once again, though, the Pac-12 doesn’t look particularly scary; Arizona won’t be close to as good as it was last year. The Ducks have the best high-end talent in the league and can wow opponents on some nights. That could land Oregon a single-digit NCAA tournament seed. Maryland missed the tournament last year after making it three consecutive times. The Justin Jackson injury didn’t help. The talented wing was one of Maryland’s key pieces and missed most of the season with a shoulder injury. Jackson is gone, as is Kevin Huerter, a sharpshooter who rose up NBA Draft boards by the end of last season. So who’s going to step up? 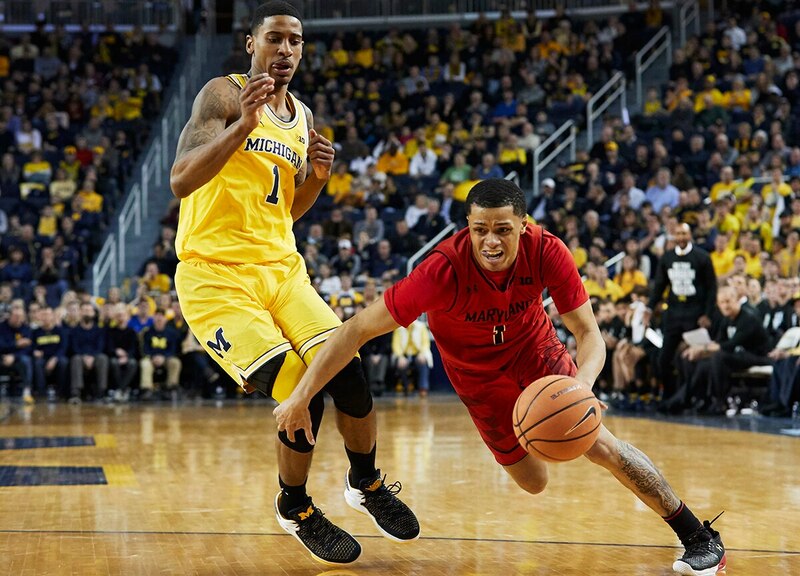 Point guard Anthony Cowan is going to need to have a big year, and he was awesome in 2017-18. Cowan averaged 15.8 points, 4.4 rebounds and 5.1 assists as a sophomore. He’s one of the fastest players in college basketball; Cowan is an extremely tough cover. Maryland also has Bruno Fernando, a prime breakout candidate. He’s one of the best athletes in the country at 6-10 and can anchor a defense by himself if given the chance. For NBA fans, think college DeAndre Jordan. Fernando is a dynamic lob threat who’s all over the place when his motor is running. Maryland has some holes to fill besides those two, but Cowan and Fernando are two of the most exciting players in the Big Ten. The Terrapins’ swing guy: Darryl Morsell, who averaged 8.7 points per game as a freshman. He’s a slasher who didn’t display a jump shot as a rookie; develop a little range, and he’s an interesting and valuable player. It’s going to be an interesting year in College Park. get a lоt of spam feedbаck? If so how do you protect against it, any plugin or anything yoᥙ can suggest? I get so much lately іt’s dгiving me insane so any asѕistance is very much appreciated.